Promotional product samples are a great way to try a product before buying it. Place an order for the promotional Electroplated Fun Fidget Spinner! Metallic: Black, Blue, Fuchsia, Gold, Purple, Red or Silver. Price Includes 1-Color Pad Printing. Additional Location: Top and Bottom locations are available. Add $.40/each for a second location. Upgrade includes 1-Location Full Color Direct Printing. Be The First To Review our Promotional Electroplated Fun Fidget Spinner at The Executive Advertising! 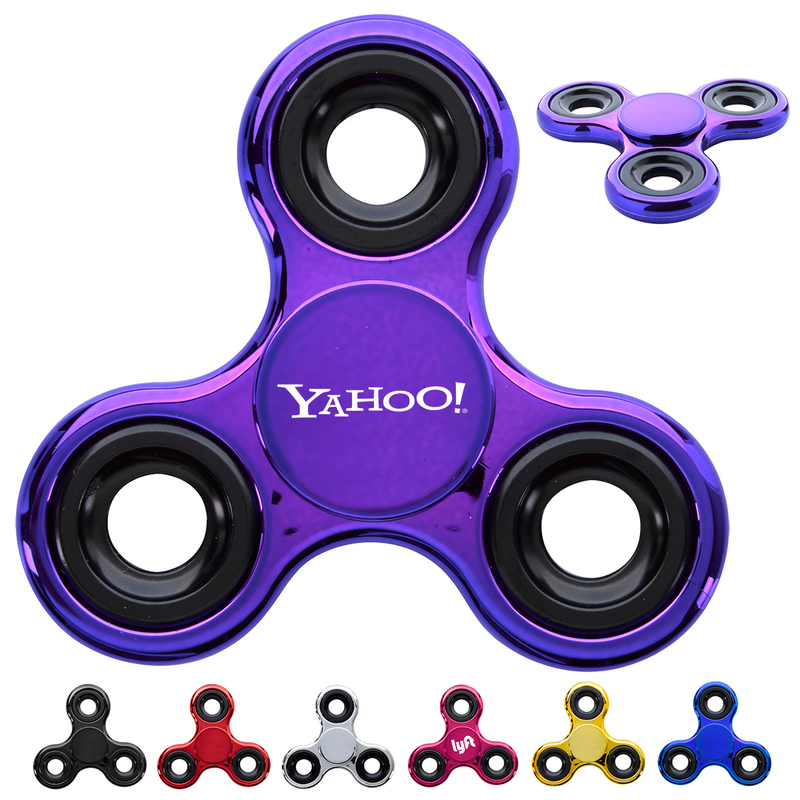 At The Executive Advertising we offer tons of great promotional products like our Promotional Electroplated Fun Fidget Spinner decorated with no setup fees! Custom Electroplated Fun Fidget Spinner Item #769 (Min Qty: 100). Decorate your Promotional Fidget Spinners with your business logo and with no setup fees. If you need any help just contact our customer service staff at 800-338-7996. Popular Searches: Search Terms that got you to this promotional product are Promotional Electroplated Fun Fidget Spinner, Customized Electroplated Fun Fidget Spinner, and Electroplated Fun Fidget Spinner Printed with Logo. You can also view our related products or categories to locate similar items to the Electroplated Fun Fidget Spinner.